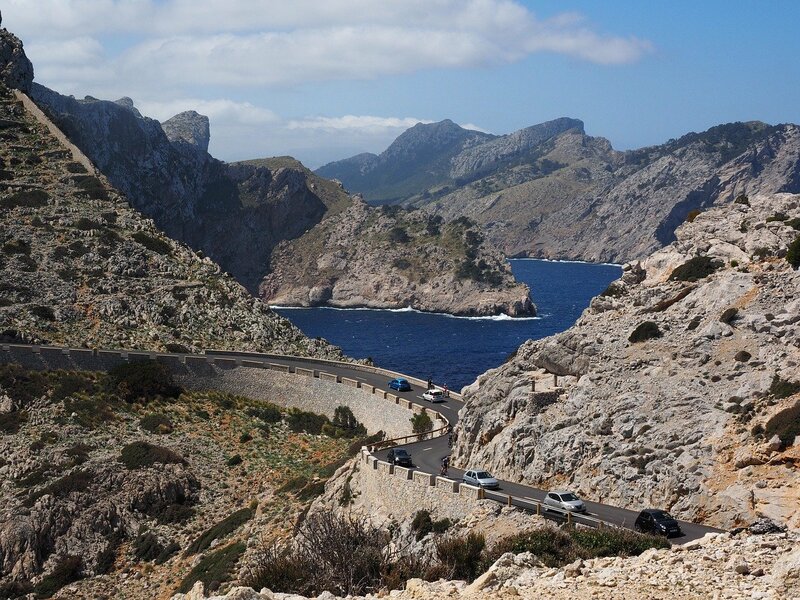 Think Lands End, stunning scenery and outstanding natural beauty and you can imagine what to expect from the Cap de Formentor. 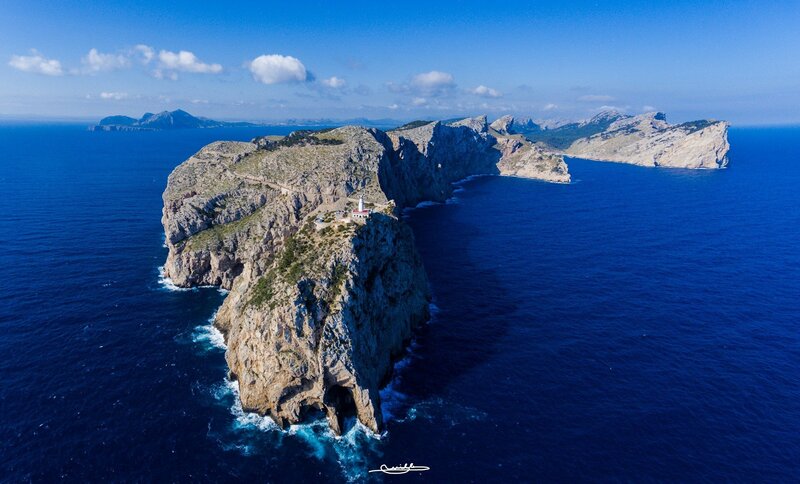 A finger of land, at the most northern tip of Mallorca, just pointing across the water at its sister Balearic island of Menorca, a visit to Cap de Formentor is a must. But to reach the lighthouse at the end, is the journey itself. Hold onto your hats, its the ride of a lifetime with spectacular views along the way. 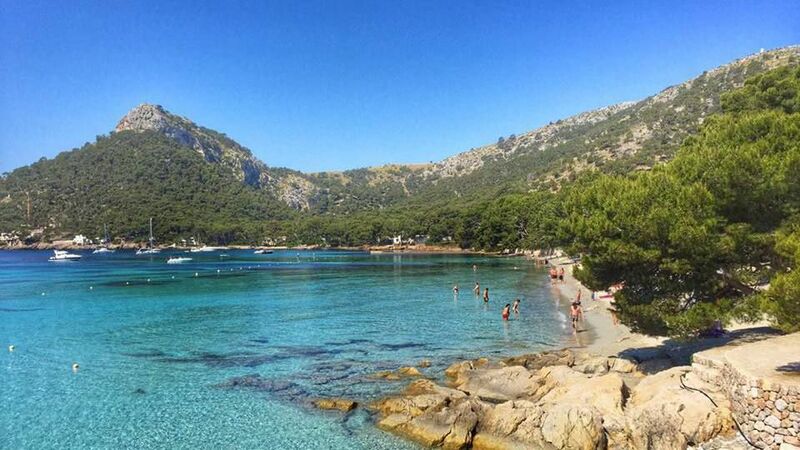 Some 13 km from Port de Pollensa, the scenery begins with pine woods and glimpses of crystal clear waters and white sandy beaches, one of which fronts the island´s original luxury hotel, Hotel Formentor. Then the road begins to climb, higher and higher, becoming rugged and wild and exposing sheer cliff drops. You are offered look-out points along the way. 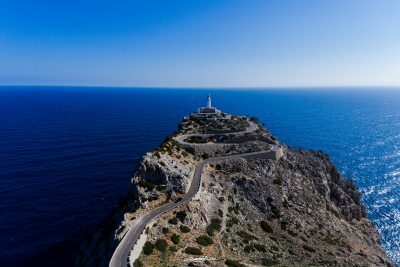 One of the most popular photo stops is the Mirador del Mal Pas, where you will feel dizzy looking the 300 metres down at the sea crashing against the rocks below. For the brave motorists and even braver cyclists, its a roller coaster of twists and turns and jockeying for position to make it to the end of the line. Although motorists are being halted now towards the end and asked to hop on a bus to the lighthouse. When you finally arrive, take in that view and of course lots of photos. 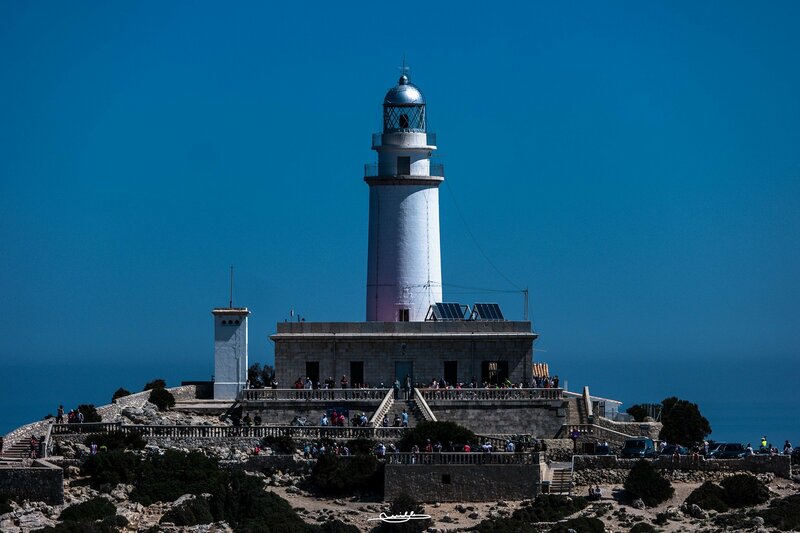 Marvel at the old lighthouse which has stood on the same spot since 1863. Watch the lycra clad cyclists, patting each other on the back and drinking a celebratory beer! And if you look hard enough, you never know, you might just see someone waving back at you from across the water in Ciutadella de Menorca! To find out more l¡click onto the Pollensa local authority website. Images kindly provided by Ganmed64, Guillem Raja Mayol.